LAKE COUNTY, Calif. -- Fire officials say most residents who evacuated during a fierce Northern California wildfire have been allowed to return home as crews reopened two highways that were used as fire breaks. About 800 of the 1,200 who were ordered to evacuate went home Thursday night and most others returned Friday. Another good day of progress made on the #RockyFire. Fire is now 50% contained at 69,600 acres. One was Brian Foster, who evacuated his house for the second time in three years on Sunday night, along with his partner, mother and pets. "I feel pretty wonderful, it's a huge relief," Foster said Friday. "It's going to feel so good to be home." 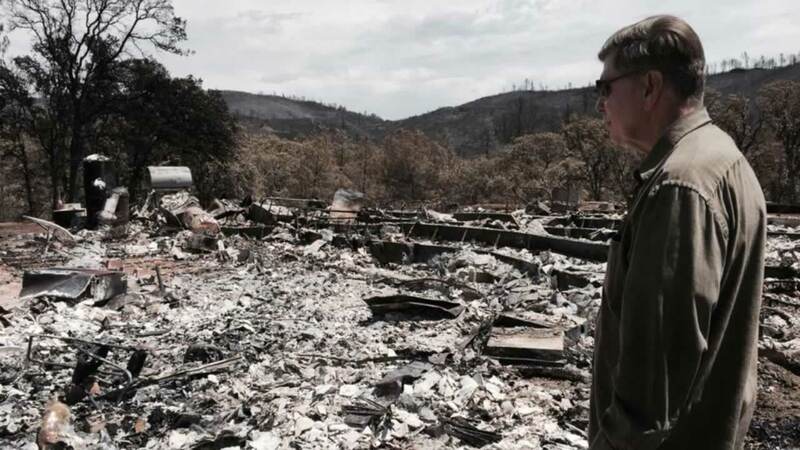 Foster said he woke up Friday and checked the California Department of Forestry and Fire Protection website and found good news. "Sure enough in nice red letters (it) said road closures would be lifted," he said. "So far it's been very orderly." And there was more good news. As of 10 a.m. Friday the evacs for the Spring Valley area from the #RockyFire will be lifted. Residents with I.D. will be allowed to return. The one cat that was left at his home because she "panicked" is still hiding. "Once the other cats come home, she'll come out," he said. But even as he basked in the joy of being home, he said he was already preparing for the next time. "I'm unpacking today and I didn't see why we packed chicken gravy .," he said. "Next time maybe we'll have a nice box that's ready to go that's a little more appropriate." 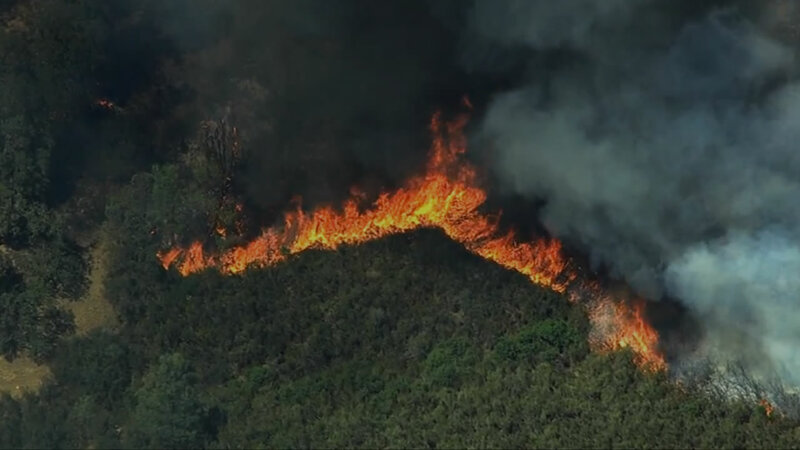 Some 12,200 people were ordered or advised to evacuate as the wildfire that started July 29 chewed through nearly 109 square miles of dry brush burning about 100 miles north of San Francisco. Joe Welz was among them and returned home Friday morning after authorities gave him the go-ahead. "We didn't burn. Spring Valley is completely OK. Everything's fine here," he said, referring to the small community in Lake County. Things were also starting to return to normal for motorists as Highway 16 and Highway 20 reopened Friday. 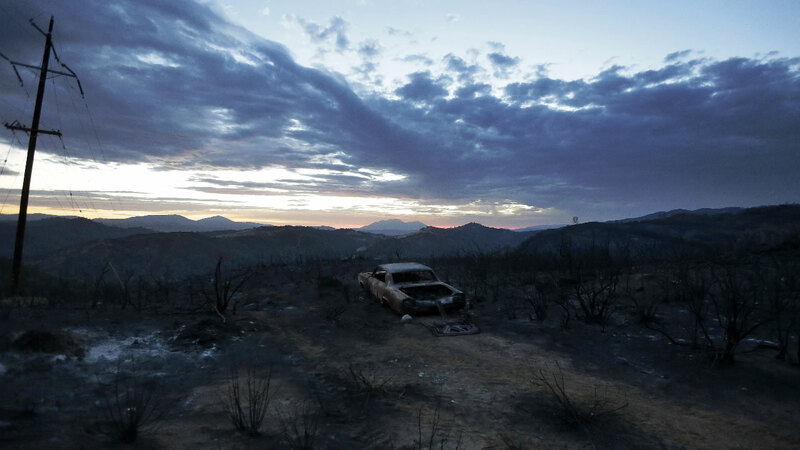 "It is going good," said Hugo Patino, a spokesman for Cal Fire, noting that the fire is at 45 percent containment. Still, some roads and homes will remain off-limits as firefighters work to put out hot spots. Layna Rivas returned to her artist's compound up a rocky dirt road Thursday night and found the place destroyed. The 35-year-old left her home last week and took her dogs and cats to a friend's house. She had to leave her nine chickens behind. She found two of them, one of which was walking through the rubble. "She was nameless. Now her name is Rocky," said Rivas, dubbing the bird for the blaze that officials call the Rocky Fire. Wildfires throughout the West have fed off dry conditions in Washington state, Montana, Arizona and elsewhere. In Northern California, the flames mowed down some houses and left others untouched near Clear Lake, the largest freshwater lake fully within California. Forty-three homes have been destroyed in the blaze. The cause of the fire remains under investigation.